Innerspring Beds Lead the Market. Still. foam alone makes a better sleep surface than some of the hybrid products that combine the latest spring technology with a specialty comfort layer? Yes, I work for Leggett & Platt and we are in the business of selling springs. A few people might believe there’s bias in my comments. I would argue that in some cases bias and truth coexist, so please read on. Leggett & Platt has one of the largest R&D testing centers in North America (possibly the world) for gauging surface comfort, specifically in the mattress category. We ran a 15-point test that covers things like firmness change as measured by ILD testing, to ASTM standards, pressure-point evaluation using the latest pressure-mapping equipment, and motion transfer using seismology instruments (just to name a few). Wouldn’t you know it, the hybrid products made with Comfort Core (fabric-encased coils) came out in the #1 spot, followed by another innerspring construction that actually tied with memory foam. To be fair, the surface testing was close, so nobody walked away pounding their chest, but the results fly in the face of some of the commentary around the memory foam category. Innersprings sleep cooler. How do I know? Because we did third-party testing with Kansas State University in their state-of-the-art labs and concluded that innerspring mattresses sleep up to 28% cooler than memory foam products. Is this relevant? Absolutely. As a category, the memory foam marketing machine started claiming that foam sleeps cool because they were getting so many consumers complaints about how hot it sleeps. More about those consumer complaints in a moment. People don’t like being hot because temperature problems are a major sleep disruptor. Stir in the fact that the average age for females is going up, which means more women are going through life changes, and you can see why people are steamed. Memory foam beds are not all they’re cracked up to be. Don’t take my word for it, just listen to Danielle from San Diego who said, “For me, it was too soft. I sank and ended up with more back pain (between my shoulder blades) during the day.” Lack of support is a common complaint Danielle. All this begs the question: Are these beds popular because they’re better products, or because they are marketed to the consumer in a brilliant way? At the end of the day I guess it doesn’t really matter because the specialty manufacturer’s marketing dollars drive the traffic, which drives retail placement, which ultimately drives the category. But let’s remember that this category is still only 10-12% of the units and 25% of the dollars. I say let the advertising continue. Let’s capture the consumer’s attention, get them to think about their mattress, and encourage EVERYONE to do their part to make it a good experience for the shopper. 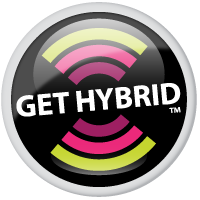 Now, take about a four-minute break and watch “Get Hybrid,” a music video we created about the aforementioned Ultimate Hybrid mattress. We are just having a little fun, trying to entertain an industry that needs some spice. I hope you enjoy watching it as much as we enjoyed making it. Tell me what you think in the comments section below. Mark, I got a real kick out of the video. Great fun! And my 23-year-old son described it as “awesome.” 🙂 Excellent job! Thanks Barbara. It is kind of funny in terms of age as I have had many older boomers tell me they love it as well so we are very happy about that. Thanks for the feedback!